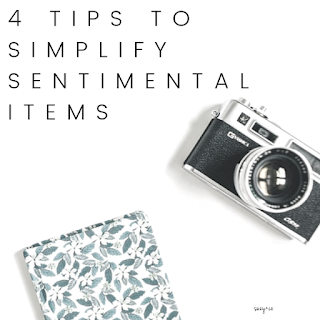 One of the hardest categories to simplify is sentimental items. Decluttering and purging things that have memories and emotions behind them can take some extra care to get rid of. I know personally, when I have found a box of old pictures, I can get lost for hours looking at each one and recalling the stories that happened, the funny anecdotes, how I felt, what I thought back in the day. I actually have a few boxes on a shelf, up in the corner of a closet. They are boxes I almost always ignore. There are so many other areas in my house that need attention and that I won't get lost in. 1. Thank it - This was one of the most ridiculous things I had ever heard. I actually never did it - at first. I thought it was just too silly and not needed. And then it got hard. There were items I was purging that had more feelings and emotions attached to them. I knew it was time to let them go, but yet it was still hard. So I tried this crazy thing of thanking the item, but just in my head. And it wasn't really working. So I decided to try it out loud. I thank the item and in some cases the person who gave it to me. Not directly mind you. No, I was sitting by myself in my bedroom going through some things and just out loud to the universe I said thank you. It totally worked!!! A wave of acceptance came over me and I knew I could then let it go. I was flabbergasted that the little gesture of thanking out loud worked. If you are having trouble, it doesn't hurt to try. I first heard of thanking items in the book I often mention The Life-Changing magic of Tidying Up. (affiliate link) It really was a great book to help me on my journey. I highly recommend it. 2. Take a picture - almost every sentimental item I get rid of I take a picture of. It is not the "thing" that I am holding on to, it is that the "thing" stirs up the memories. And sometimes, just looking at a picture can stir up those same memories and feelings. 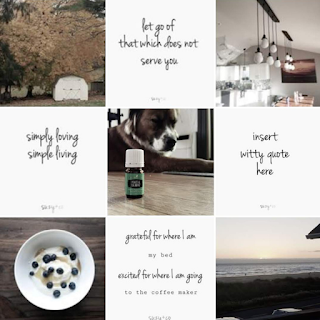 Of course my best advice, that I need to take as well, ahem, is to make sure when you take and store these pictures in the cloud or wherever you end up storing them, you organize them somewhat. So that way you do not have 10,000 random pictures in a file on your computer called "pictures"
3. Ask a family member or friend if they want it - There are times when a item is no longer serving you, but you know that another person may cherish that item. The things we choose to display and hold on to are individual. A statue, vase, or tchotchke that we may not put up on a shelf, may be perfect for another's home. Just be sure that you are not placing a burden on another person. It can be really hard to say no thank you when someone offers you things from the past. You don't want to just give them to another person, like a family member, because you do not want to give it up. 4. Display it - There is usually only a limited amount of real estate in your home to display things. Unless you live in a mansion, many times we only have so many rooms, so many shelves, so many side tables. The sentimental items that you are holding on to should not be hidden away in a box only to be looked at once in a while. Especially if you really love them. By committing to start to display these items, you will see which ones you truly love. Which ones are the ones that you want out all the time. Then you can ask yourself, why you don't want to display the other items. Maybe you don't love them, but someone in your family did. So you feel obligated to keep it. 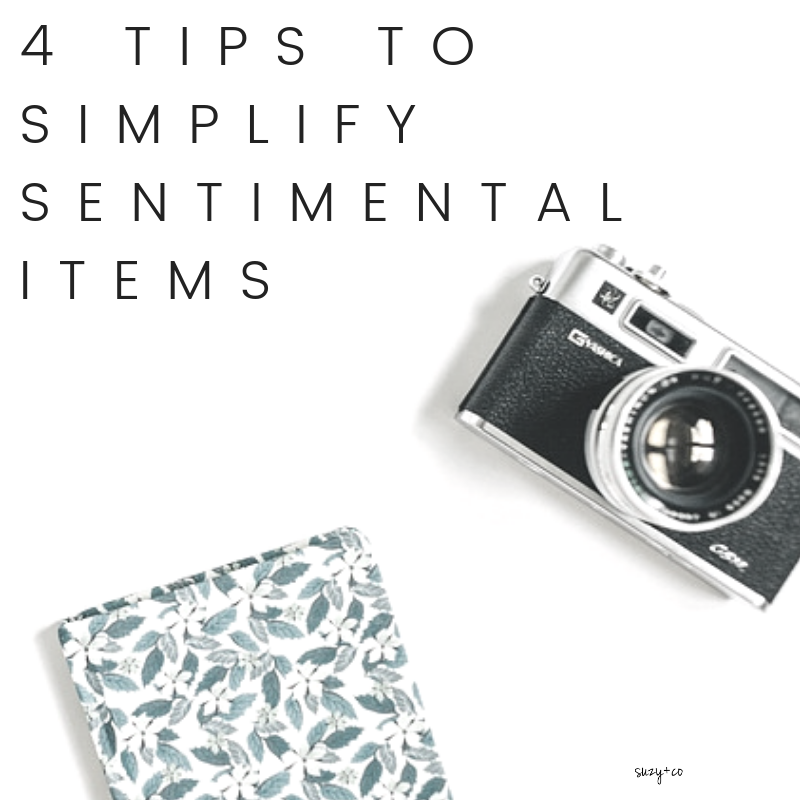 You may still end up storing some items, but the point of simplifying and decluttering is to fill your home with things YOU love. Maybe some of these items you don't love enough to display can fall into #3 above. Most important - give yourself grace. Take your time, and if you feel you need to put some of those items away for another time, then that is ok. There are always other areas in my home that need attention. So I wait to tackle those sentimental things. Wait until you are in the right mindset and then grab a glass of wine and begin to tackle.